Absolute-Watersports is the shop for all your Wakeboard Handles, Ropes, Lines and combos from Liquid Force, Straight Line, O'Brien and more. We are the cheapest online with a Price Match Guarantee! We have all the new season Wakeboard Ropes and Handles, as well as stock clearance and close out deals, so we have great offers available. Our stocks include wakeboard ropes and handles for the recreational to the advanced rider. Get free delivery in the UK. Worldwide shipping no problem. Our wakeboar ropes and handles include Straight Line, Liquid Force, O'Brien and Jobe. 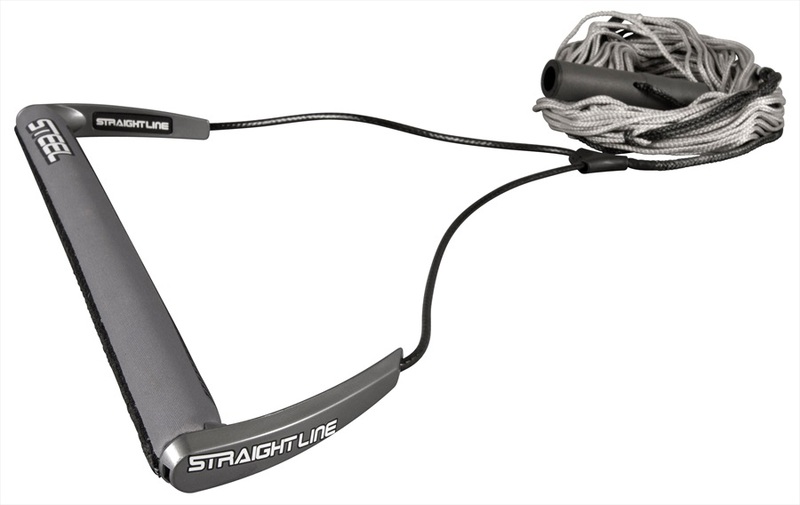 Straight Line Launch Wakeboard Handle with Static Line Combo (with T bar) - Ideal for riders wanting to learn spins without having to handle pass. 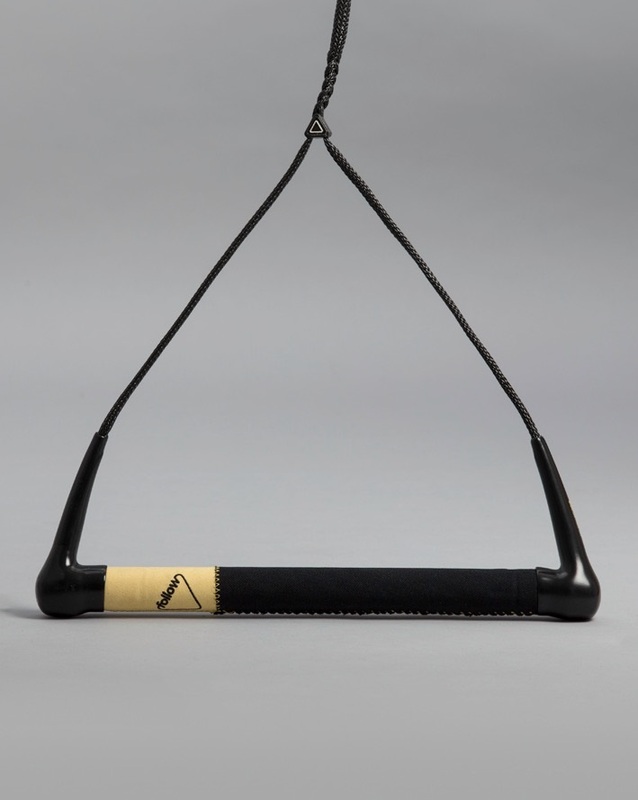 Straight Line Steel Pro Handle "T"
O'Brien 4 Section Poly-E Wakeboard Combo - The ultimate first wake rope. Proline Reflex Wakeboard Line Handle Combo - EVA Handle with PE Main. Straight Line Pro Suede Handle Flatline Combo designed to help the world’s best hold on while pulling off critical moves. Proline Launch Wakeboard Line Handle Combo - EVA Handle with PE Main 3-5 section. Byerly Regiment Carbon Handle with Pre Finger Curved Dual Density EVA. Straight Line Dyneema Line - High performance low stretch 100% Dyneema fiber line that provides a smooth consistent pull behind the boat! O'Brien Team Comp Handle with Reactor Line Wakeboard Combo - meets the needs of intermediate to advanced riders. O'Brien Prop Handle with Reactor Line Wakeboard Combo for beginner and intermediate riders. O'Brien Heavy Duty Bridle Ski Tube Tow Harness - goes onto the back of your boat so you can attach tubers skiers or boarders. O'Brien Floating 4 Section Poly-E Wakeboard Combo - The ultimate first wake rope. Straight Line Draco Wakeboard Line - for one of the strongest and smoothest feeling ropes available. Straight Line ALLOY PRO Wakeboard Line - Extra Long Pro level Dyneema Wakeboard mainline for good intermediate to advanced riders. O'Brien Bridle Ski Tube Tow Harness - goes onto the back of your boat so you can attach tubers, skiers or boarders. 2017 O'Brien 4 Section Poly-E Wakeboard Combo - The ultimate first wake rope. Great Value Wakeboard Rope for beginner to intermediate use, ideal for Wakeboard and Kneeboard use. Accurate Poly-E Wakeboard Line - cheap durable line that will last. Liquid Force strong and smooth low stretch Flight line - 16 strand Dyneema Line with PU coated woven jacketfor all your wakeboarding tricks. The O'Brien 8' Floating Ski Tow Harness - goes onto the back of your boat so you can attach tubers skiers or boarders. Keeps your rope on the water where you can see it. Great Value Straight Line TR9 | Static Wakeboard Handle Line Combo for beginner to intermediate use, great starter set ideal for Wakeboard and Kneeboard use. O'Brien Prop Handle with Spectra Line Wakeboard Combo for beginners and intermediate riders. Mainline extension 3 ft - an extension to get a bit of extra length for your wakeboard combo. Straight Line Henshaw Pro | PU coated Flatline Combo beautifully compatible, designed to help the world’s best.